Nothing older and more significant than the Runes as divination tool. Our cavemen ancestors were carving the stones with glyphs (meaningful syncretic signs, thus giving birth to concepts) and playing with their combination in sentences, to invoke and understand, and this is how modern conceptual human brain has evolved, the alphabet and ultimately, everything we have and know now; the little stones have acted as a bridge between our mind and the magical, sometimes frightening, and always sublime, world around us, and have been with us all the way. I created a set of stones as a small child, painted with symbols for sun, moon, star, dog, ant, bee, wind, water etc. and many creatures I felt around me in my little universe and asked them to speak to me through my stones; naturally, I didn't know about the runes, but my connection with nature triggered this ancestral memory of how we first tried to understand what the wind and water say to us and how we interpret and answer back by creating a symbolic language. It's needless to mention and hard to describe how deeply I feel my connection to my runes. "Runes are letters of an ancient Germanic alphabet with each conveying a unique symbolic meaning. The word rune means “mystery” in Celtic and Germanic languages. 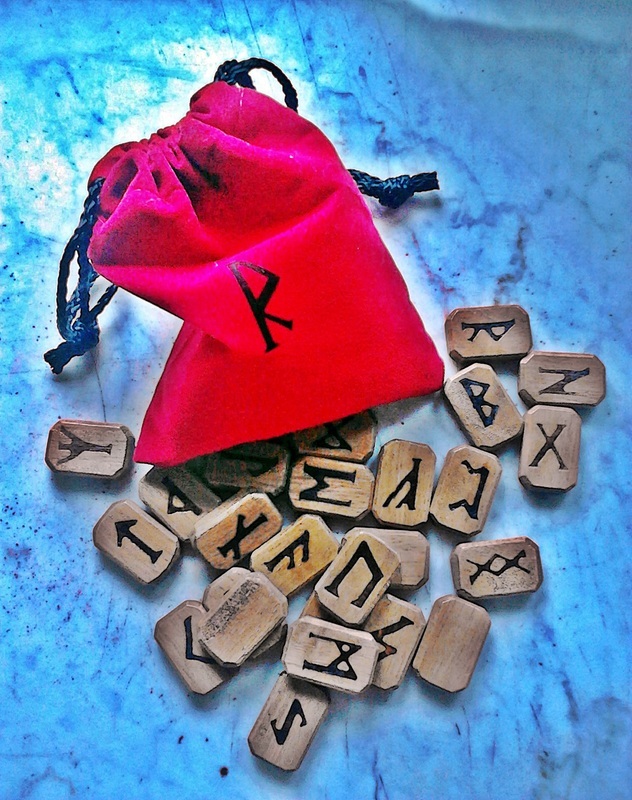 Though sometimes associated with fortune-telling, most Runes practitioners realistically point out that the Runes were not designed to predict the future. By accessing ancient wisdom, Runes were designed to produce a greater awareness of the connection of all things, the nature of cause and effect, and the interactions between our personal lives and the rest of the world. 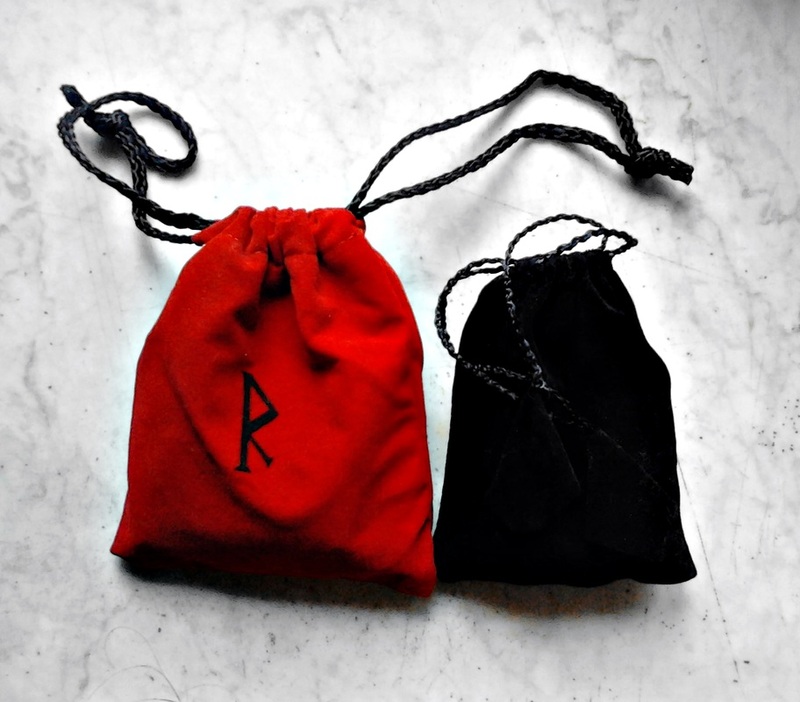 Like any balanced archetype system, Runes represents an overview of human psychology, the physical world, and the universe. Present day Rune casting involves asking a specific question, then interpreting the meanings of the symbols inscribed on a set of stones (sometimes sticks or cards). The techniques for selecting Rune stones are varied. A single stone can be chosen from a bag in answer to a question, or a number of stones (usually three or nine) can be laid out in a variety of patterns, similar to a Tarot spread, for interpretation. 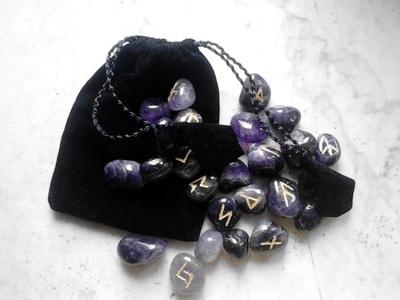 Or, a handful of stones can be drawn, then cast onto a special cloth, where unique meanings can be assigned to Runes in the face-up and face-down positions. Choosing a method of Rune casting is largely a matter of personal taste. None of these methods, or others omitted here, should be considered more authentic than the rest, since there is no reliable record of precisely how Runes were cast for divination in ancient times. When using the Runes, listen to your own wisdom in selecting the appropriate technique. There is historical research regarding the formation of the Runic alphabet, and the people who used it. The word ‘Runes’ refers to the unique symbolic mystery or idea behind each rune-stave—the inscribed shape or carving in wood, clay, or stone. Though considered by modern historians to have been savage in their excursions, the Vikings were in touch with the Earth and the cycles of nature. According to Nordic mythology, Odin, father of Thor, discovered and invented the Runes. Seeking divine knowledge, Odin hung upside down from a tree limb and was enlightened with the knowledge of the Runes. There are a variety of theories about which alphabets the rune-staves were related to—including Greek, Latin, and North Italic alphabets. O.V. Friesen proposed the idea that near the Black Sea in the third century A.D., Goths invented rune-staves based on the cursive and capital letters of the Greek alphabet. Danish scholar L. F. Wimmer identified similarities between some rune-staves and Latin, and also concluded the creation of the rune-staves would have been in the third century A.D. However, these theories are questioned because the earliest inscriptions—from Norway and Denmark—can be dated to the second or third century A.D., which means their invention, distribution, and rise in popularity was already underway for quite some time by then. The most widely held view of the rune-staves’ origin is that they derived from the North Italic scripts of Italy, which, like Latin, came from the early Etruscan alphabet. Both rune-staves and North Italic alphabets were written from left to right as well as right to left, but many of the rune-staves do not resemble North Italic in form. Some claim that the Germanic tribes of the alpine regions could have learned the North Italic alphabet as early as the fourth century B.C. 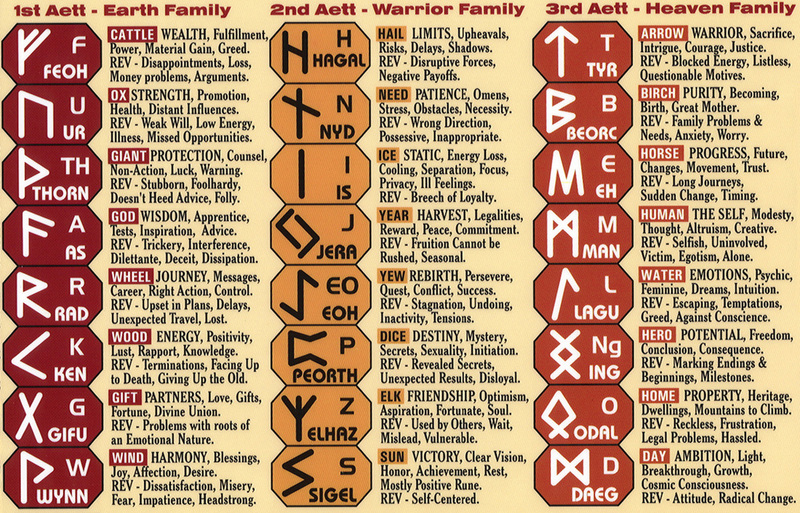 The Futhark alphabet, as we call it today, evolved from this encounter and by the second century B.C. it was spreading northward. It appears likely that the Common Germanic Rune was created between the fourth century B.C. and the first century A.D."
The Runes are divided into three groups of eight, three aett (aettir), translated as ’family’. The 1st Aett is also known as Freyja’s Aett, the 2nd as Heimdall’s Aett and the 3rd as Tyr’s Aett. 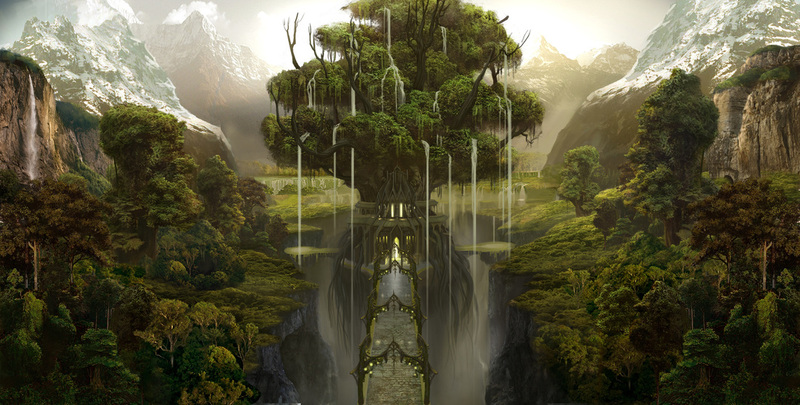 Thurisaz (TH: Thorn or a Giant.) Reactive force, directed force of destruction and defense, conflict. Instinctual will, vital eroticism, regenerative catalyst. A tendency toward change. Catharsis, purging, cleansing fire. Male sexuality, fertilization. (Thorr, the Thunder god, was of Giant stock. )Thurisaz Reversed or Merkstave: Danger, defenselessness, compulsion, betrayal, dullness. Evil, malice, hatred, torment, spite, lies. A bad man or woman. Isa (I: Ice.) A challenge or frustration. Psychological blocks to thought or activity, including grievances. Standstill, or a time to turn inward and wait for what is to come, or to seek clarity. This rune reinforces runes around it. Isa Merkstave (Isa cannot be reversed, but may lie in opposition): Ego-mania, dullness, blindness, dissipation. Treachery, illusion, deceit, betrayal, guile, stealth, ambush, plots. Although there is no traditional background to it and many rune diviners contest this method, personally I also use Wyrd, the Blank Rune, also called Odin's rune, or The Roots of Yggdrasil (the tree of life, tree of the world), I like the concept of "silence" associated with it, that the Querent is meant to receive as message only what they need to know for them to take the best path now, that a part of the reading is associated with great mystery, the unknown, threads of fate still being woven and preparing a surprise and the many other meanings this rune can have when showing up in a reading.